Cho Yang-ho, Hanjin Group and Korean Air chairman, has died from a lung disease in the US, Korean Air said Monday. The 70-year-old business tycoon died at a hospital in Los Angeles, where he had been receiving medical treatment for pulmonary fibrosis since December, the company said. His condition had dramatically worsened recently after he had been stressed about losing a board seat at his group’s core unit, Korean Air, a company official said. All his family members, his wife, Lee Myung-hee, his son, Korean Air President Cho Won-tae, and two daughters, former Korean Air Vice President Cho Hyun-ah and former Korean Air Executive Director Cho Hyun-min, had stayed by Cho’s deathbed. Hanjin Group said business management will continue without interruption. Korean Air said details of the funeral would be decided soon and transporting the late chairman to Korea might take up to a week. Cho’s death comes about two weeks after he was voted out from Korean Air’s board, making him the first founding family member of a major conglomerate to be forced off a board. Shareholders voted to end his board tenure after Cho and his family members became embroiled in a series of scandals related to misconduct. Despite his ouster from the board, Cho had retained management rights with shares held by his family. Since October last year, Cho had been on trial on charges of embezzlement of company funds worth 27 billion won ($23.6 million) and breach of trust. He had denied the charges against him. His wife and two daughters were also investigated over allegations including the assault of employees and the illegal hiring of foreign housekeepers. The owner family has frequently made headlines with incidents involving “gabjil,” which refers to using their positions to mistreat subordinates. Cho Hyun-ah had sparked outrage with the “nut rage” incident in 2014. She had forced a plane to return to the gate over the way her nuts were served. The second daughter, Cho Hyun-min, was embroiled in the “water rage” incident, in which she allegedly threw water at the employee of a contracted ad agency. The Seoul Southern District Court said Monday that it will stop Cho Yang Ho’s trial proceedings and dismiss the indictment upon the death of the defendant. The prosecution also said it will cease all investigations into allegations involving Cho, including the evasion of inheritance taxes. Following Cho’s death, his son, Cho Won-tae, is expected to succeed his late father as chairman of the group, which has Korean Air, budget carrier Jin Air, Hanjin KAL and several other affiliates under its wing. Cho Won-tae was appointed vice president in 2016 and promoted in 2017. Market watchers, however, say that the succession process may be hampered due to a lack of preparation and weak corporate governance structure. In addition, there could be challenges such as those posed by activist hedge fund Korea Corporate Governance Improvement, which has been preparing to strengthen its power as the second-largest shareholder. But for now, with the reappointment of Hanjin KAL CEO Suk Tae-soo on the board of directors in March, a close ally to the late Cho, it is likely that Hanjin Group will have time to smooth out its succession plans under Suk’s management. Earlier this year, the late Cho said he planned to resign from executive positions at the group’s six affiliates in March, when his board term expires. The late chairman was born in 1949 as the first son of Korean Air founder Cho Jung-hun. He began working at Korean Air in 1974 and was appointed chairman in 1999. 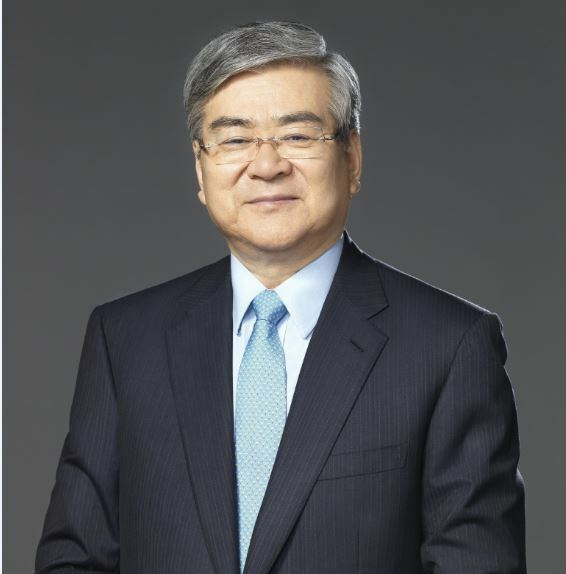 He had served as Hanjin Group chairman since 2003. He also served as chairman of the 2018 Winter Olympics bidding committee for PyeongChang and chairman of the 2018 PyeongChang Winter Olympics Organizing Committee. On Monday, shares of Korean Air jumped 1.8 percent to close at 32,500 won, while the benchmark Kospi was little changed. The Cho family currently holds a 33.3 percent stake in Korean Air, as Cho Won-tae currently serves as CEO of Korean Air. The owner family has a 29 percent stake in Hanjin KAL.